South Burying Ground is owned and maintained by Town of Newton. It's also referred to as, "Winchester Street Burying Ground" and "Evergeen Cemetery". Established in 1802, it is Newton's third cemetery. It has 357 recorded burials, dating between 1803 and 1938. The cemetery was listed on the National Register of Historic Places in 2004. A 1901 plan of the cemetery showed 244 headstones, but today only 165 remain. In June 1802, residents of Upper Falls and nearby Oak Hill met to establish a neighborhood burying ground. Edward Mitchell, Ebenezer Cheney, and Jeremiah Wiswall were appointed to purchase the land. They acquired a lot at the corner of the Dedham and Sherborn roads consisting of about 3/4 acre from Captain David Richardson. The new burying ground was divided into 29 family lots for the original proprietors. Tombs A-H were built in 1806 and many of the Revolutionary war veterans are buried in them. In 1833 the proprietors sold the burying ground to the town of Newton but reserved the right to bury in their respective family lots. About the same time Amasa Winchester gave the town an additional 3/4 acre for the purpose of enlarging the burying ground. This was a strip about 60' wide on the west side and 20' wide on the north. 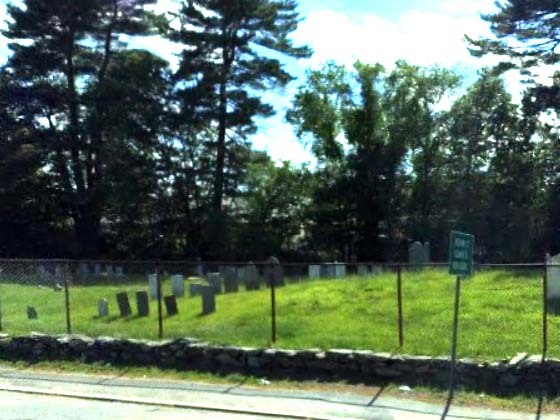 South Burying Ground was transferred to the municipality in 1833, but continued to be used primarily by residents of the Upper Falls and Newton Highlands neighborhoods. In 1855, Newton Cemetery, a large cemetery in the rural cemetery style, was established, effectively ending use of the older burying grounds. Although there were a few more interments, South Burying Ground was no longer considered active. 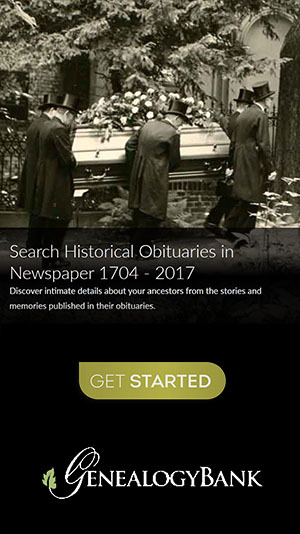 The last burial, that of Samuel Bacon, occurred in 1938. Historian Francis Smith, writing about the burying ground in 1880, described it as "beautifully shaded with evergreens." Records published below were compiled from previous inventories dating back to 1901.